Home / Books / Arise & Shine Champion! 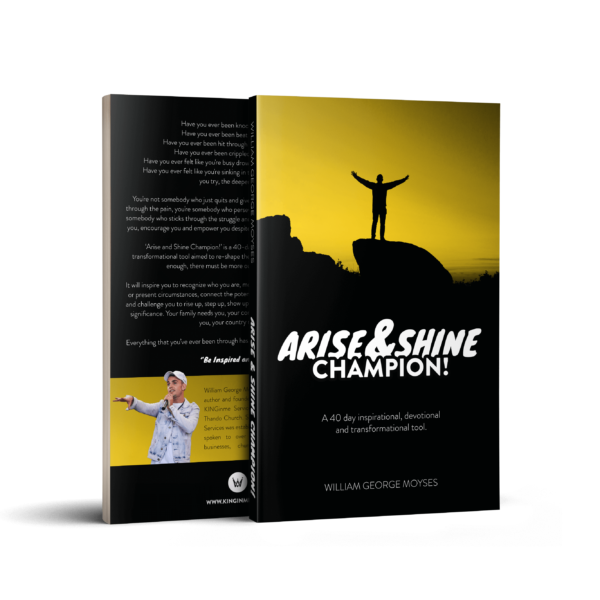 It will inspire you to recognize who you are, motivate you to move beyond your past or present circumstances, connect the potential placed in you to TRUE POWER and challenge you to rise up, step up, show up, look up and live a life of purpose and significance. Your family needs you, your community needs you, your city needs you, your country needs you. Everything that you’ve ever been through has been preparing you for this moment!